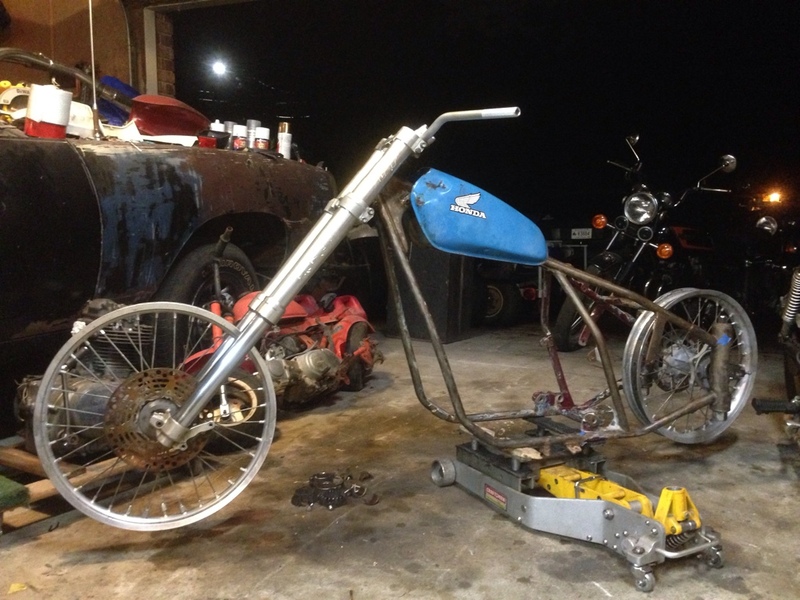 Thanks to the gracious delivery of this 70's era plunger frame from New Mexico to Alabama by Canyoncarver, I'm jumping into this chopper build with two feet. I've reached out to several forums, sorted through various catalogs and ads from the 70s, but have yet to identify the manufacturer with complete confidence. I think it's definitely a production style frame, considering the neck. It has two pressed in cups for a common neck tube. 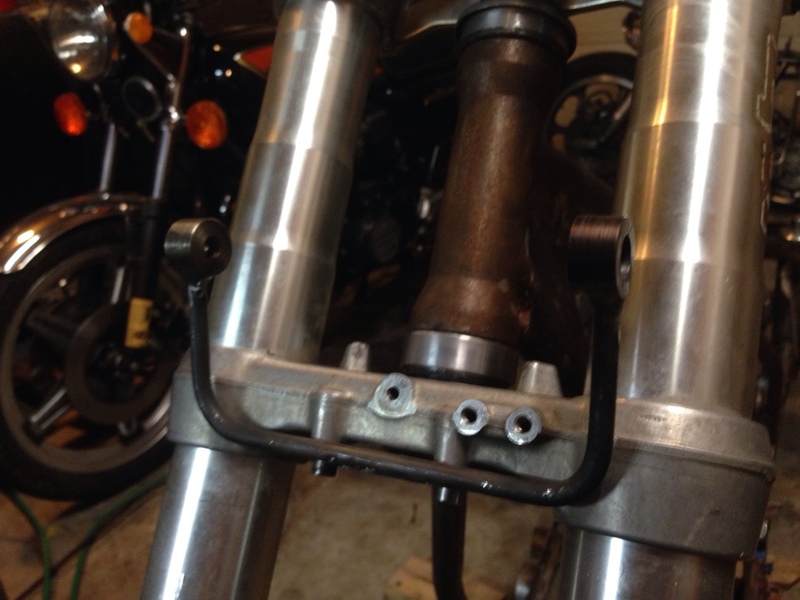 The CB750 triple tree that came with the frame has a modified stem to account for the longer neck. Here is sits with a 1991 RM250 front end and RM wheels front and rear. I like the dimension of the dirt bike wheels, plus they're aluminum. 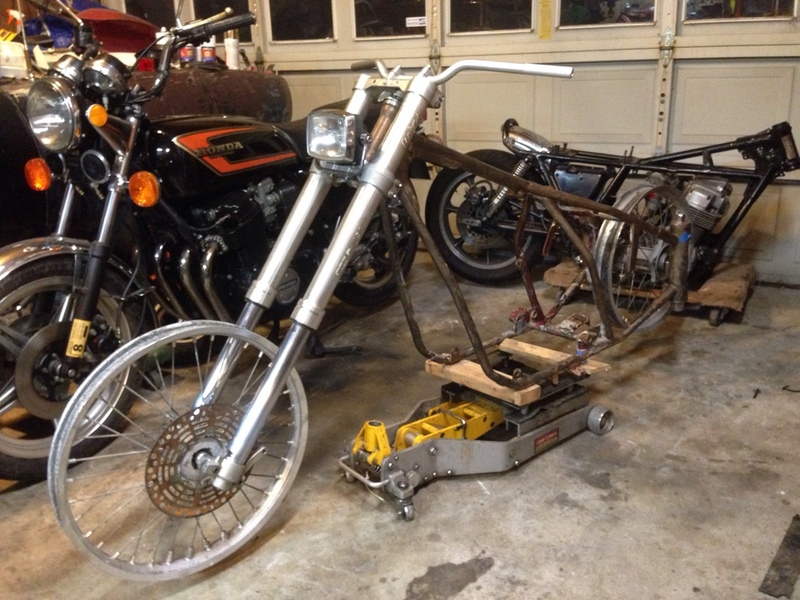 If I decide to go drum on the rear wheel, I may go 70s era XL350. Hell yeah man.Count me in. Work slower. You make everyone else look bad. Those forks are AWESOME on that frame. 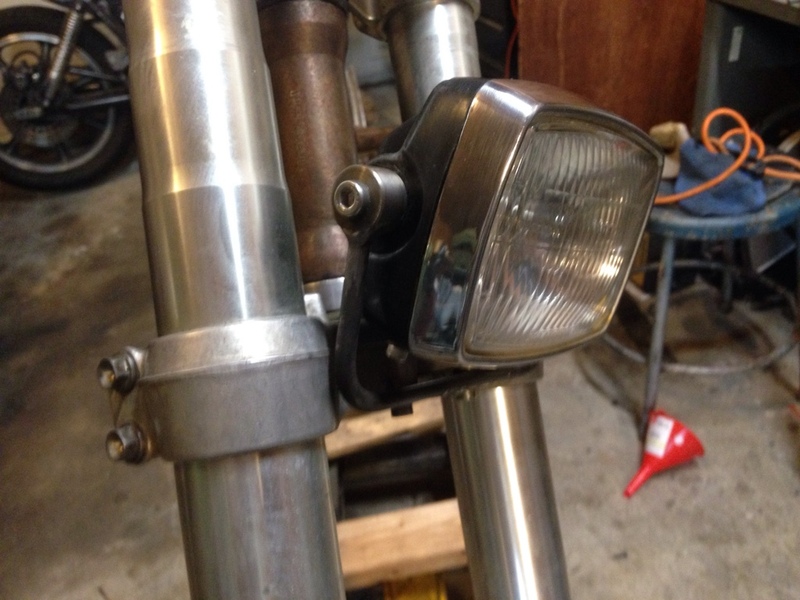 That headlight on there is the shizzle. Dig the frame, I've never seen one quite like this either.. can't tell if it's a weld on rear half or whole frame.. You are probably aware that the front end may be really spongy for the weight of the bike as the build goes on.. they are designed for much more travel than a street bike front end.. 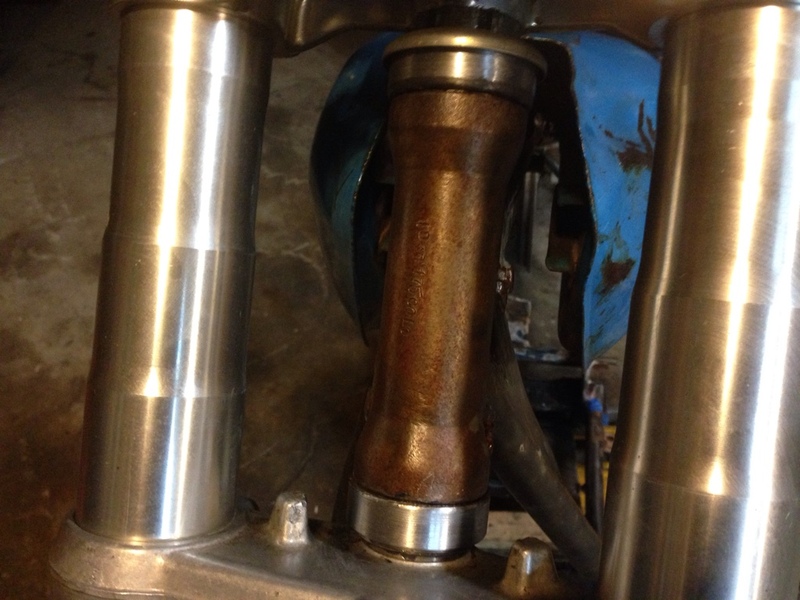 I've read that the fluid movevement can be restricted with a machined piece and/or stiffer springs.. worked on a cafe Suzuki that had 250 forks, they looked cool but damn it moved around way too much.. cool project though! Will keep tabs! 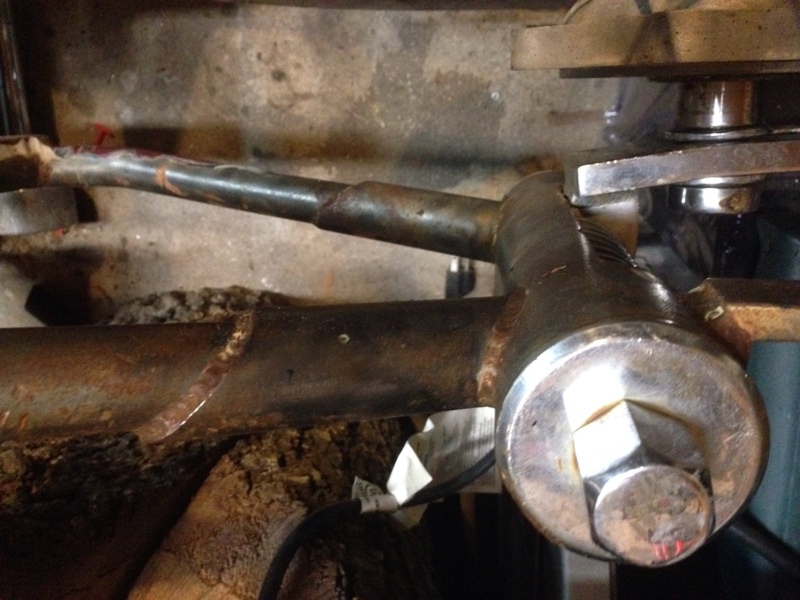 That frame looks to me like a Jammer frame, can’t find any reference to one with a plunger rear, but someone at some point could have grafted in a Santee rear section.. 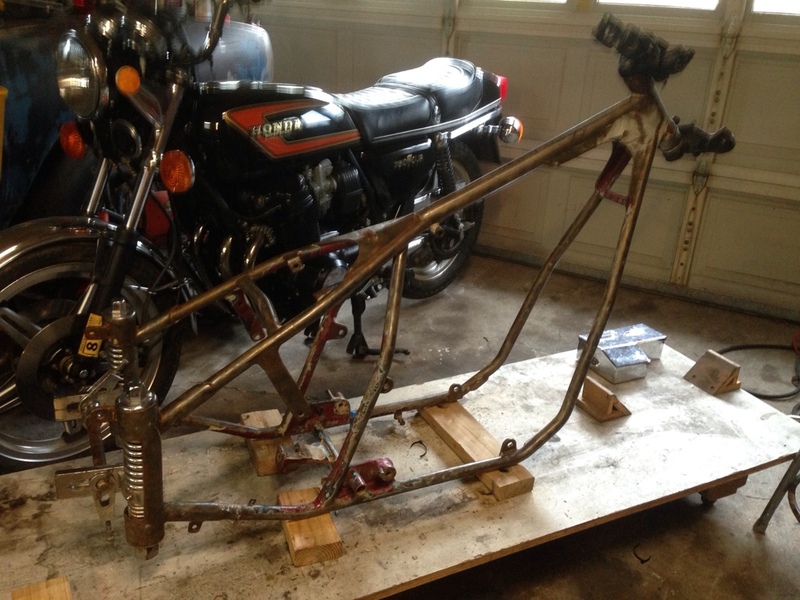 Dig the frame, I've never seen one quite like this either.. can't tell if it's a weld on rear half or whole frame.. You are probably aware by that front end may be really spongy for the weight of the bike as the build goes on.. they are designed for much more travel than a street bike front end.. I've read that the fluid movevement can be restricted with a machined Peice and/or stiffer springs.. worked on a cafe Suzuki that had 250 forks, they looked cool but damn it moved around way too much.. cool project though! Will keep tabs! Yeah, I'm definitely considering the possibility that these forks won't work. I have tried them on a heavier dual sport contraption I built, so I think there's room to make them work here. This is one iteration, with potentially several others. They can be valved and fluid levels adjusted to effect the dampening on these to account for weight. The rake is a big factor, as well. Choppers are dumb. And I love them.